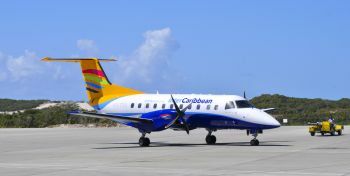 According to articles circulating on various websites, including Caribbean Media Corporation (CMC) and Caribbean Aviation today March 9, 2017, VI Airlink and Turks and Caicos based interCaribbean Airways claimed they were never served a copy of BVI Airways application in violation of DOT requirements. Last month, BVI Airways applied to the DOT for permission to conduct scheduled foreign air transportation of persons, property, and mail between the prescribed UK Caribbean gateway points via intermediate points, to points in the United States and beyond. It also sought authority to carry out charter foreign air transportation of persons, property, and mail between the [British] Virgin Islands and any point(s) in the United States. The airline plans to offer service four times each week between Beef Island, Miami International and San Juan Luis Munoz Marin airport in Puerto Rico – increasing flights to daily. Locally owned VI Airlink and interCaribbean Airways claim their operations may be affected by the application. Both airlines have also questioned government’s impartiality given an alleged investment made to stimulate demand for flights between the VI and the United States. The airlines, according to CMC, made reference to press report in which Premier Dr The Honourable D. Orlando Smith (AL) is quoted as saying his government has “invested” US$7 million into the development of flights between Miami International and Beef Island. 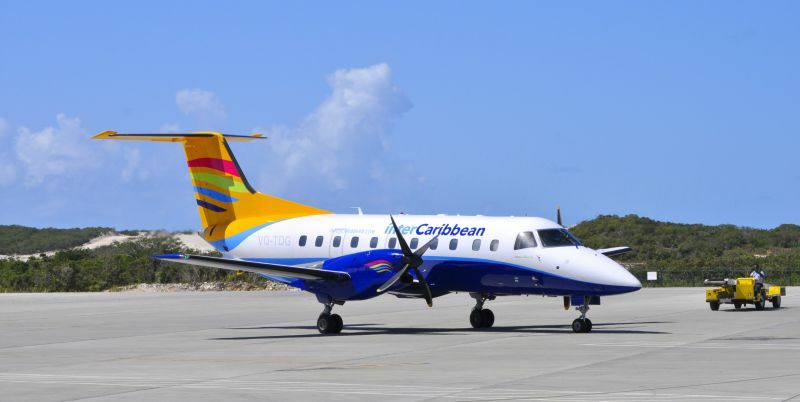 Officials from VI Airline and interCaribbean Airways state that BVI Airways had previously claimed the funds mentioned, to be a loan. They argue that the issue of direct financial support will create a conflict of interest between locally-owned airlines and the VI government given the latter’s purported role in BVI Airways’ operations, according to CMC. Meanwhile, local pilot and shareholder in VI Airlink Captain Neville C. Brathwaite Jr told Virgin Islands News Online that the airline was not commenting on the matter at this time. The National Democratic Party (NDP) has been lambasted for injecting millions into a defunct airline that had abruptly ceased its operations in the VI some years ago and left owing the BVI Airports Authority some $99,000. 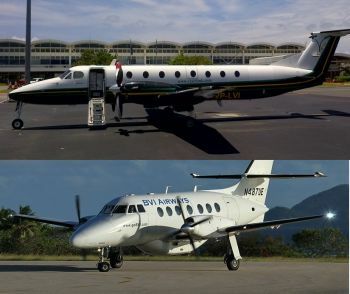 Critics of the government have been asking why the VI government did not instead invest in the locally based VI Airlink. But I know Orlando is delusional enough to think this $7M investment is a good idea. The worst part of this is that once again, the small ndp circle and a few wealthy people of this country are going to benefit while the working people and poor people suffer. Doc Smith and Harrigan have been left scrambling to marshal support from their own party and others over this bad deal!!! Hmmmm. Whoever said the Smith-Russell gang ever acted without forethought? I am simply mystified by vi airline and the other airline strategy here. Funny you should mention strategy.....as it happens I am looking for TRUTH. Please advise--where should I look? The worse things get, the more the spin doctors will double down and blame the rest of us for their troubles. It's a little hard to understand where the NDP sees a political advantage coming from this waste of money plan. Yo Doc, We 7 mill still good? and who are the shareholders hiding behind the shadows? Which one of your cronies? This is political crap. Neither VI airline or inter island are going to be affected as 1) they don't fly to Miami and 2) the price of the flights will end up being so expensive that people will continue to island hop. Plus completion is a good thing if it drives down the ridiculous price it costs to fly out of Beef island. I remember 150-200 round trip to Puerto Rico with american eagle. The planes were full and lots of people used Beef island. Now days the ferries are making a killing. Those who want safe air travel will continue to go to st thomas and use well funded airlines. This socalled BVI airline will not be able to maintain their aircrafts to accepted standards since they are bankrupt from the start. It will never fly safely. It is just a money making racket for a few people. Somebody could please break this down in dummy terms for me please? The guys think because they are local they should be protected but at some point if you do not understand simple business principles you will be left behind. There is only so much Government can do for people in certain instances. We shouldn't suffer because a few locals can't get their acts together. Further, Government has assisted these guys in a huge way time and time again, both VIP and NDP Governments so to give the impression that Government is helping outsiders and not locals is a blatant and bold faced lie. Am not understanding your bloggation here. 1. Business is business and why is it that somehow IA is full of whatever if the laws appears to have been broken? 2. If the development of BVI airways is questionable and seem to present an unfair advantage what say you of your first sentence in relation to both airlines. 3. As per your last bit about being annoyed is just the same incoherence as "Vi airlink might have a right from a business perspective" and "the territory needs the airlift". So the dash IA is labeled and the confusion is debunked by your own words. The reason he said confusion, is because VI AirLink brought Inter Caribbean to the market in hopes of an argreement... but they got the Finger instead. If anything they should be fighting each other, operating the same route to ANU. VI AirLink, is fully subsidized by this current govt. on all empty seats to and from Antigua. They are in the ring with the wrong company, the bread is not in the US, it's in the Caribbean. It seems here that the NDP government is trying to get people to and from the bvi easily, and get around this st. Thomas and Puerto Rico problem. This appears to me to the benefit of the bvi people and tourists alike. Our own people are here placing us is problems again after the Gov't provided a subsidy of seven million to get this done. So why is VI airlink not flying to the US if they do not want another airline to do it. All of them full of it. I think cape air should have some bigger planes, and that will do the trick since they already fly to PR. I hate traveling through stt and I met some tourists the other day who told me that their vacation was cut short by two days, one to get here and one to return. VI Airlink already fly to the US and have the certificate... 7 million dollars would have helped them get big airplanes same way like BVI Airways don't you think? Somebody did not grease the right palm..
Everything is moving in the right direction, and direct flight is round the corner. It's not the world I live in. Vino bring this back there's much to discuss about the future of this country. It's a lot to digest but it will worth it. English speaking ,direct flight to the US etc...All the bells and whistles required.